Shabina has lived in BD7 for most of her life and went to Grange School where she studied until she was 18. She got married soon after leaving school and has been busy raising her 3 children since then. She is also a carer for her parents and brother who suffer from various illnesses. Last year she did a childcare level 1 course and would like to do further study in the future. 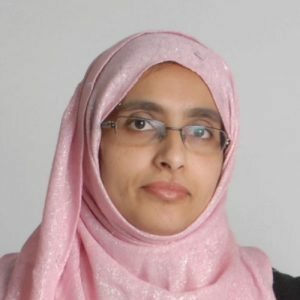 She is involved in the Here We Are group which brings women together to make new friends, to have new experiences and to produce a monthly programme about Bradford for BCB; the local Bradford Community Broadcasting station. This has given her a new set of skills and a sense of confidence.